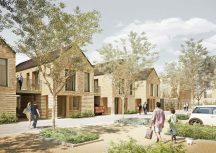 Evolution South, which has already won a 2013 Housing Design Award, will provide 279 new homes as part of the regeneration of the 11.5-hectare site in the London Borough of Barnet. Completion for this final phase in the major overhaul of one of the borough’s most vibrant, densely populated areas is expected by January 2015. Maccreanor Lavington’s transformational approach will redefine the old fashioned estate typology which in this instance has suffered from an architecture and layout at odds with its surroundings, and has become cut off from surrounding neighbourhoods, suffering rapid degeneration. Designs have been influenced by the “Garden City’ movement of the late 1800’s, with dwellings set within a well-considered and well-proportioned streetscape. said Gavin Finnan of Maccreanor Lavington. 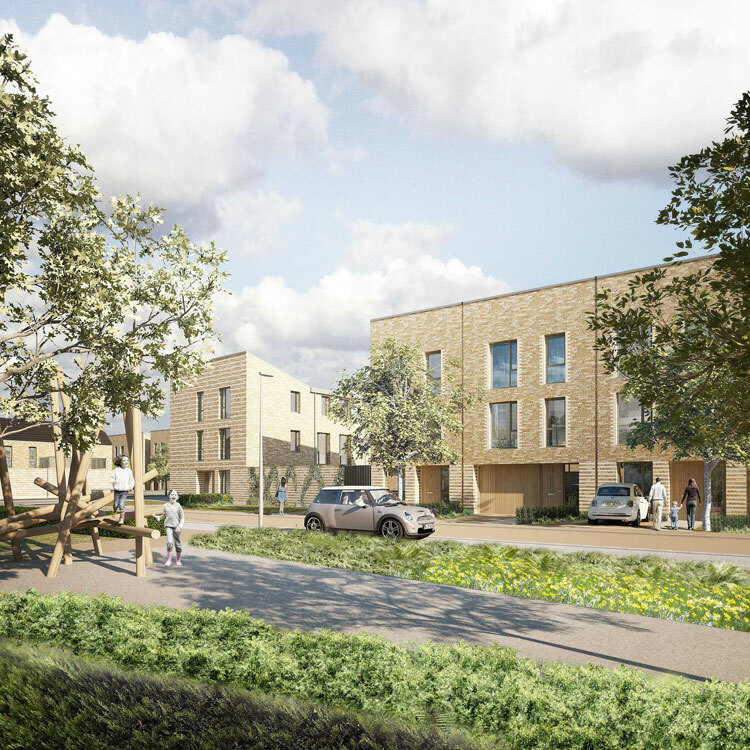 A new frontage to Stonegrove – a major route through this part of North London – has been created by designing a number of four-storey apartment buildings, which all use the same family of materials but with sufficient variation in the design to create individuality. Maccreanor Lavington have used a London Stock brick, referencing traditional Victorian London terraced houses, with careful detailing around windows and opening. Apartment buildings to the southern end of the Stonegrove frontage and the terraced houses that adjoin them, with be constructed of the same materials and are intended to read as part of the same structure. A single storey wall at ground floor level connects the two typologies with a branded brickwork that helps create a coherent identity. Filigree metalwork balconies and entrance porches will enliven the street scene. With private outside amenity space becomingly increasingly important for urban residents, Maccreanor Lavington have strategically maximised the number of houses with private gardens. 147 houses will have a private garden at ground floor level. Some ground floor apartments will also enjoy a private garden or terrace space. The remaining apartments will enjoy generously sized balconies. Those located in the two apartment buildings to the northern end of Stonegrove have access to either a communal courtyard or shared garden space. Maccreanor Lavington’s public realm design provides over 2000m2 of public amenity space in a series of spaces within Evolution South, with the largest a central East/West orientated central green space. This high quality landscaped ‘pocket park’ will include seating areas and an informal play space. Two smaller additional spaces relate to the large mature trees standing along the southern edge of the site. With an emphasis on safety and sustainability, the streets will provide a low-speed only environment for vehicles. The focus has been to provide pedestrian priority spaces in which the choice of surface materials, planting and street furniture has a large part to play in achieving a sense of place. The layout of the apartment blocks adopts the principles of ‘Secure by Design’ creating clear divisions between public and private areas through the use of planting and edging treatments. The layout will allow good natural surveillance of all public spaces, with frequent front doors to the streets and a multitude of windows and balconies overlooking streets and green spaces. 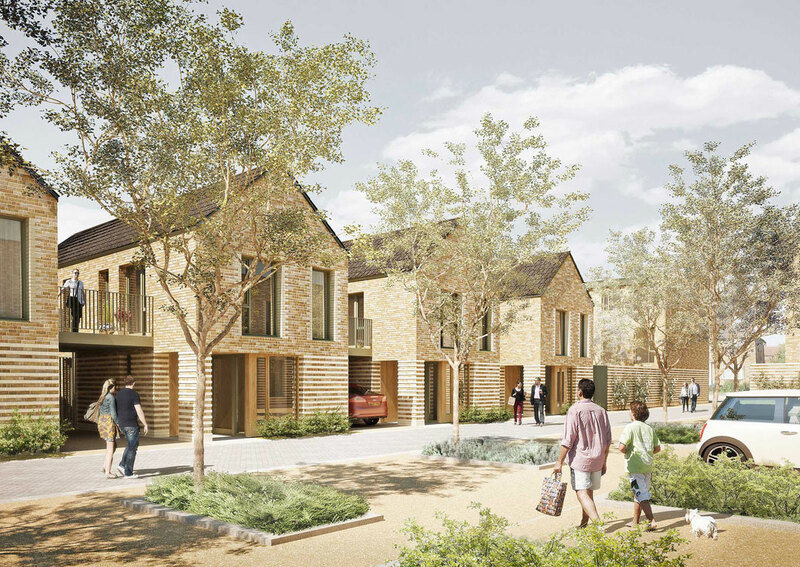 With Evolution South, Maccreanor Lavington are replicating many aspects of their successful design approach for Accordia, the Stirling Prize winning housing development in Cambridge. 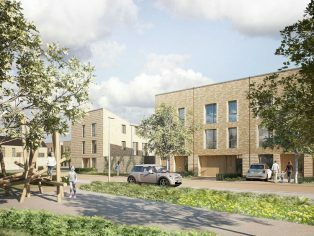 While Accordia’s houses were designed for the higher end of the market, homes at Evolution South will be more affordable but will still retain many striking features, including the same brick stock.